Livermore’s leading CoolSculpting specialists at Elite Freeze® are some of the best providers of the revolutionary weight-loss technique CoolSculpting. Livermore residents delight in having such a safe, fast, and easy method to lose weight and start feeling great about their bodies. Customers know that when they visit Elite Freeze®, they’re in the hands of the best CoolSculpting professionals around. Livermore, California – Livermore is a city that is located 30 miles from the Sanfrancisco Bay Area and is home to some of the most renowned laboratories in the world. Home to two of the United State’s Department of Energy laboratories, Livermore has been known for many scientific contributions, including having a chemical element, livermorium, named after it. 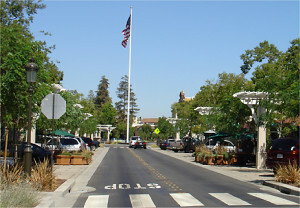 The city also houses the Lawrence Livermore National Laboratory, home of the IBM sequoia supercomputer, and is the home of the world’s most powerful laser. Livermore is a central part of the country’s sciences and its laboratories have gathered plenty of respect for for its contributions towards technology including LED lighting, biofuels, energy cells, and solar panels. Livermore is a city of science and ingenuity; a perfect place for our Coolsculpting specialists to meet your needs. CoolSculpting, also known as Cryolipolysis, is a weight-loss that targets and freezes fat deposits is order to reduce them. FDA approved, Elite Freeze® has been an extremely proficient provider of the procedure since 2010. CoolSculpting works by freezing fat deposits at specific temperatures while leaving other tissues untouched. The fat deposits die while the body naturally removes the fat tissue. This makes CoolSculpting a completely non-invasive procedure that puts it far above procedures like liposuction. Because of its non-invasive nature, recovery time is a fraction of what it would be with other procedures which makes CoolSculpting a far more convenient option that most other weight loss techniques. Livermore’s Elite Freeze® specialists typically take between one and three hours to complete the procedure. Prices vary depending on the individual and how many procedures are necessary, making consultation with our specialists a must. No major side effects of CoolSculpting have been found, however minor side effects do include irritation, swelling, cramping, itching, tingling, and numbness on treatment areas. CoolSculpting is only performed by trusted Medical Doctors like the professionals at Livermore’s Elite Freeze®.